Turtle babies emerging from nests laid on the Chennai beaches have been getting disoriented due to the presence of ever increasing numbers of lights along the shore. As more buildings are being build close to the shore and roads laid the number of lights from buildings and from street lights are constantly on the rise. In the last few years in addition to regular street lights high mast lights which have a much higher range of illumination have been installed. These lights have ensured that nearly no stretch of beach is dark. While this may seem as good news to humans, young turtle hatchlings which seek to go to their home – the sea – are programmed by nature to make their way towards the brighter horizon. Under natural circumstances due to reflected star light and moon light the sea surface is always brighter. But with these lights all the young hatchlings head towards the land and get killed due to various causes like getting caught in coastal vegetation, dehydration, getting eaten by dogs or crows or getting run over by vehicles. We had been writing and petitioning various departments of the government asking for regulation of lights on the shore. We had suggested that either the lights should face away from the beach and shed light on to the road, or that the lights should be switched off between 11 pm and 4am during the months of February, March and April as these are the months hatchlings emerge. But though we were given assurances many times, no action was taken. The just retired Chief Wildlife Warden Mr.R.Sundararaju was proactive and offered us full support. When we approached him and discussed the issue, he took all necessary steps and organized meetings with all the concerned officials – the corporation commissioner, the principal secretary of the forest department, etc., all of whom on seeing our presentation were sympathetic. It was heartening to hear the environment secretary remark that the beach belongs to turtles as well, and that we owe it to them to ensure that nesting beaches are safe for them. As a result of that meeting, all the six mast lights were switched off from 10th April 2010 and we were given the assurance that this will continue in the years to come. In the 2011 season when SSTCN again made a representation to the Chief Wildlife Warden Mr Sundararaju, we expressed the concern that we may not continue to have cooperation from officials once Mr Sundararaju retired. 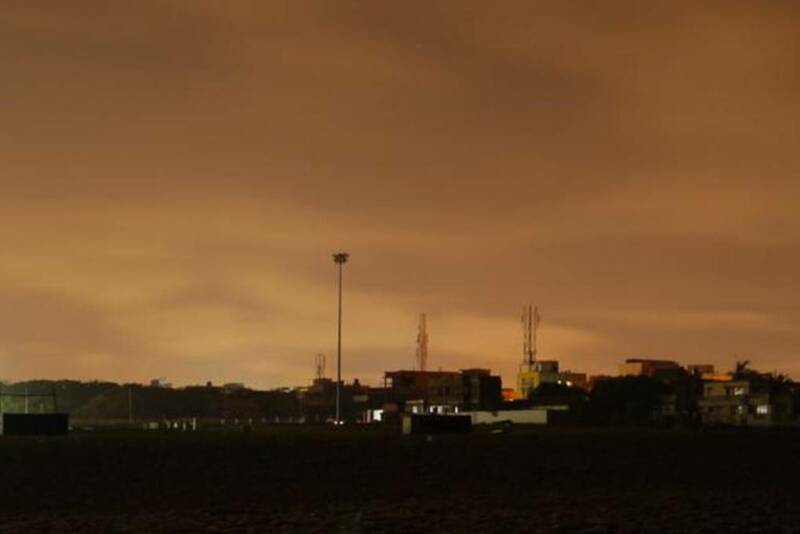 He immediately spoke to senior people in the govt and within a few weeks, managed to get a Government Order passed that clearly states that the 6 mast lights between Neelangarai and Besat Nagar will be switched off between 11 pm and 4 am during the turtle season. It is actually a big step forward for sea turtle conservation in Chennai!